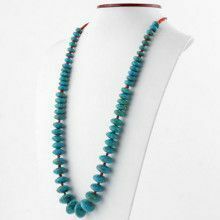 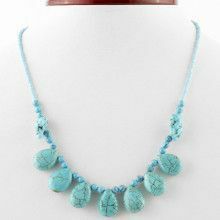 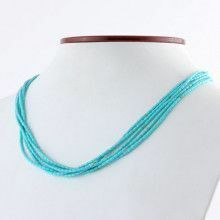 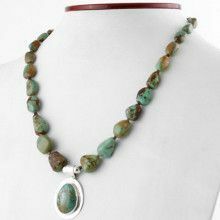 This extraciting 20" length necklace features fairly large sleeping beauty turquoise nuggets separated by silver balls. 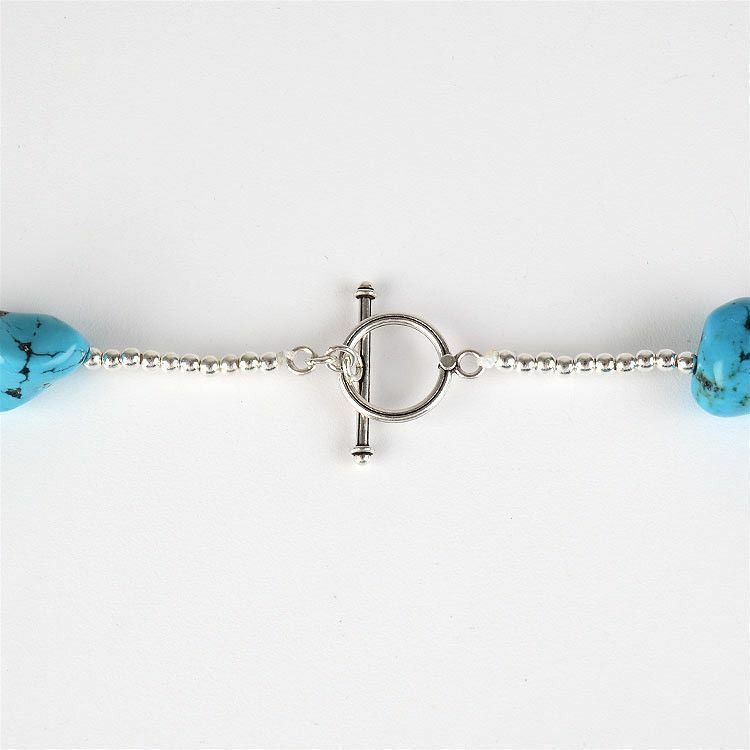 A modern silver toggle clasp attached to a string of balls secures this beautiful necklace around your neck. 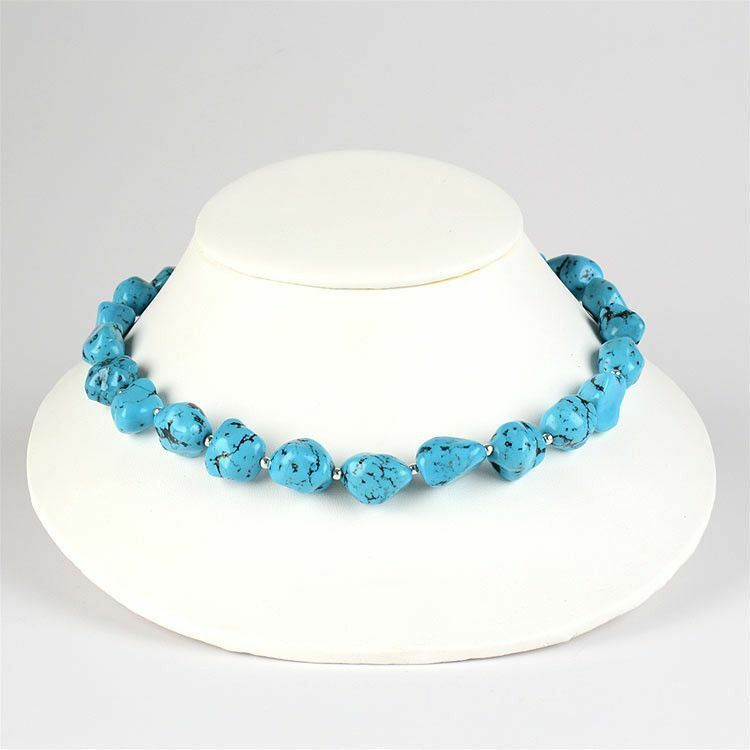 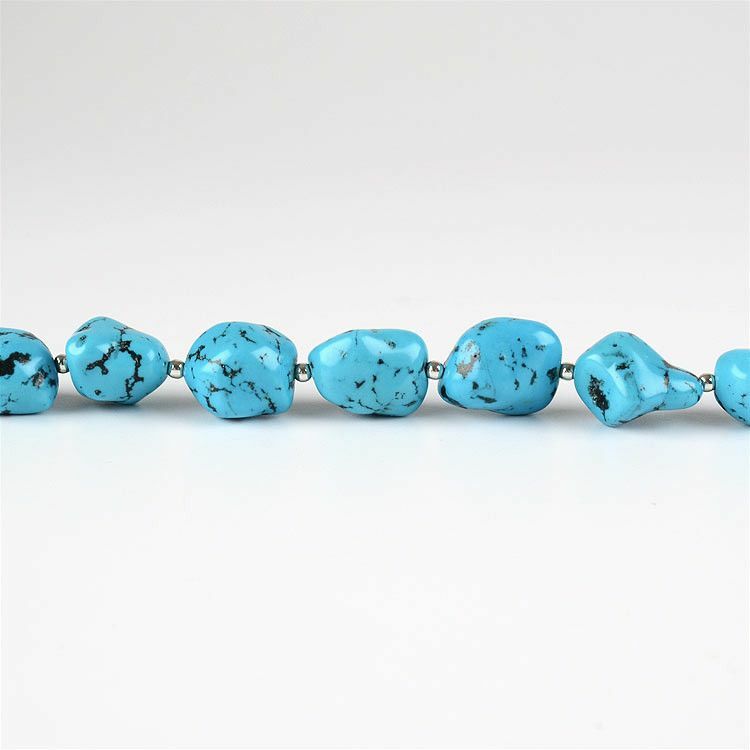 The 100% real turquoise nuggets are Approximately 5/8" to 7/8" in size. 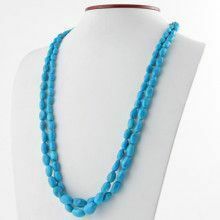 This is the necklace to own to make you feel amazing!